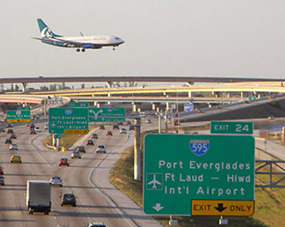 Here, at the Quality Inn & Suites, you will find that our hotel is close to the Ft Lauderdale Cruise Port, and Fort Lauderdale/Hollywood International Airport. 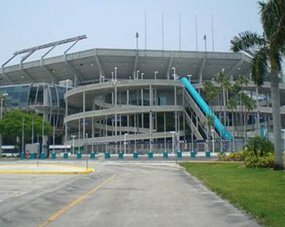 We are located in Hollywood Florida, just a short 15 minutes from the cruise port, and 10 minutes from the airport, with shuttle service available. When staying with us, you will enjoy our gorgeous tropical landscaping, spacious guest rooms, unparalleled guest services, and our convenient location. The Quality Inn & Suites Hotel, is a family and pet friendly, and a non-smoking hotel. We invite all our guests to enjoy our FREE continental breakfast and FREE high speed internet service. 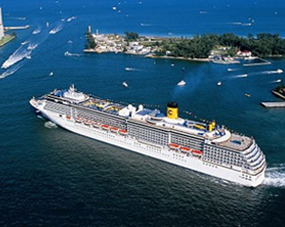 Before booking with us, make sure to mention you are a cruising guest, and find out about our park-n-stay packages. Quality Inn & Suites is a smoke-free, pet friendly hotel with only one goal, and that is customer satisfaction! YOU are our number one priority! Our highly qualified, skilled, and amiable staff will do everything they can to accommodate YOU and make your stay with us as pleasant and enjoyable as possible! Every newly renovated, spacious, and beautifully decorated room has FREE WI-FI service, and each morning, you will be greeted with a FREE continental breakfast! So now, our guests can add to our list of amenities and accommodations, greater transportation and shuttle services as well! Remember, you always GET THE BEST PRICES when you BOOK DIRECT, so you can give us a call today, or simply click on the "Book Now" link, and get your trip started now! 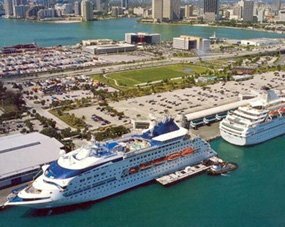 So book your next stay with us, one of THE BEST, most exciting hotel close to Ft Lauderdale cruise port around; we will not disappoint you!